If we want our democracy to work, we have to show up. But for those without transportation to the polls, "showing up" can be tough, if not impossible. 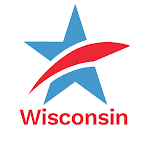 As we did in 2014 and 2016, CC/WI is once again identifying and recruiting organizations and individuals statewide willing to give free rides to the polls on Election Day and/or during the early voting period. Here is the latest list of groups and volunteers offering free rides. Our goal is to help ensure that all eligible voters in Wisconsin are able to make their voice heard at the ballot box by raising awareness that help is available in communities across the state – and by creating more ride options for those who need them by recruiting volunteer drivers. In addition to giving rides, we're asking our volunteer drivers to determine if the person calling them for a ride has one of the acceptable forms of photo ID for voting before heading to the polls. (608) 285-2141 or (414) 882-8622. 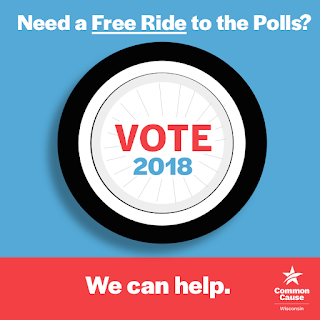 Would you like to be a part of the "free rides to the polls" effort? Become a volunteer driver within your community – or help us identify individuals or groups in your area willing to pitch in and give someone a ride. Please contact us as soon as possible if you'd like to join the team! !